What is the Life Ionizers Reviews Ripoff Report Scam? Don’t be fooled! The website Ripoff Reports is a scam. Ripoff reports passes itself off as consumer reviews website, but it’s not. Ripoff Report is a scam meant to bilk businesses out of thousands of dollars for worthless “reputation management”. Life Ionizers has an A+ rating! In the last 3 years, Ripoff Reports has had 50 consumer complaints lodged against them with the Better Business Bureau. Click that link and see for yourself. They have 19 complaints of false and fraudulent advertising, 28 consumer complaints of problems with their service and three billing, collection and delivery issues. What has Ripoff Reports done to respond to the consumer complaints against it with the BBB? Nothing. A representative from Ripoff Reports confirmed to the BBB that they will not work with the BBB to resolve consumer complaints against them. As a result, the BBB has given them an F rating. Fact: Ripoff Reports is a fraud. They exist just to extort money from innocent businesses and people. Did you know? You can file a rip-off report against an ex-wife, ex-husband, or any other person on Ripoff Reports. In that report, you can say anything you want about that person, no matter how untrue or hurtful. Ripoff Reports will never remove that report, it will stay on the internet and haunt the victim for years. Imagine if someone did that to you! The rip off report on Life Ionizers alleges a whopping 38 reports on Life Ionizers on the Better Business Bureau website. That is totally false. Life Ionizers has an A+ rating with the BBB. Click the link and see for yourself. Fact: Life has had only 7 complaints in three years. All were resolved to the customer’s satisfaction. In fact, the BBB says our response to customers is one of the reasons we have an A+ rating with the BBB! The rip-off report alleges that the person (who lives in Florida) and goes by the nickname “Lotsa Luck” had difficulty returning two units, purchased at wholesale. 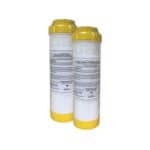 But we checked our sales records for the State of Florida, and there are no records of any wholesale purchase of two ionizers to anyone in the State of Florida. 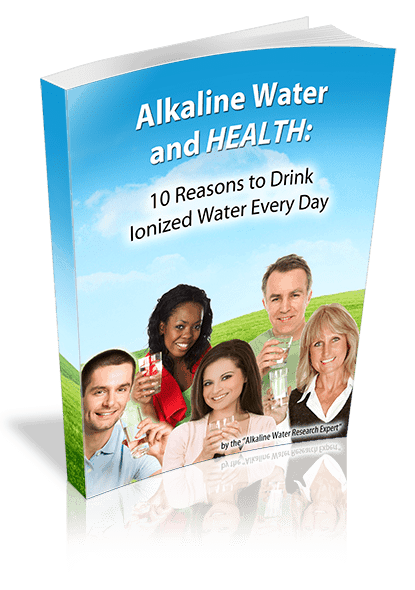 Fact: Life Ionizers never sold two water ionizers at wholesale price to anyone in Florida during the time period of the alleged complaint. Lotsa Luck claims that he/she was concerned that a Life Ionizer might not fit in their kitchen. I have to wonder: “Why didn’t he/she measure the space before allegedly buying our machines. The dimensions of our ionizers are provided on our website just for that reason! We want you to measure first, before you buy a machine! 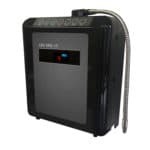 Fact: Life Ionizers has the dimensions of our ionizers on our website so you can make sure you have room before you buy an ionizer. The alleged complaint from Lotsa Luck closes with this statement: “Never again will I deal with any kind of water treatment company.” I have to wonder why. Even if Lotsa Luck doesn’t like Life Ionizers, that doesn’t mean that other water treatment companies would treat him/her the same way. Fact: Even if you have a problem with a water treatment company, that doesn’t mean that all water treatment companies are bad. Why didn’t “Lotsa Luck” complain to the Better Business Bureau? The first place many consumers go to review a business is the Better Business Bureau. Companies know this, and because of it companies that care about their reputation like Life Ionizers are swift to respond to BBB complaints. We do everything we can to resolve a customer complaint, and really appreciate the BBB being there to act as an arbiter to help resolve problems. Honest and ethical companies like Life Ionizers do that, and it’s why we have an A+ rating with the BBB. If Lots of Luck was, in fact, a real customer with a real problem, Life Ionizers would have been happy to resolve it. A company like ours survives on trust and reputation, and our A+ rating with the BBB means the world to us. You can find real consumer reviews of Life Ionizers on Amazon, and you’ll find that nearly all of the Life Ionizer reviews on Amazon give us 5 stars. You can also find real Life Ionizer reviews on trustpilot.com, and find many testimonials from satisfied Life Ionizer customers on our website. 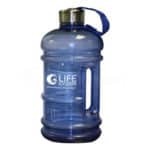 Life has been selling water ionizers for the past 20 years, and we have thousands of satisfied customers. We’re sure you will love our ionizers too. Better health, you’re worth it. Call 877-959-7977 for a free, no obligation consultation or click to learn more.